Still (ayyy) rewriting my introduction to my translation of Francisco I. Madero's Spiritist Manual of 1911. I'd aimed to have that ready for the second edition an eon ago, but it turns out that to do it to my properly, I had to delve into an entire library's worth of reading on Spiritualism, Spiritism, Theosophy, metaphysics, and 19th century science-- not to mention reviewing Madero's personal library itself (more about that esoteric treasure trove anon). For those new to my blog and Mexican history: Francisco I. Madero was the leader of Mexico's 1910 Revolution and Mexico's democratically elected President from 1911-1913, when his government was overthrown and he was murdered. 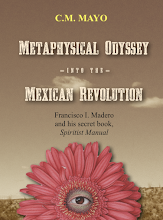 For this reason alone, his Spiritist Manual, an evangelical statement of faith and political philosophy, stands as a key document in Mexican history. 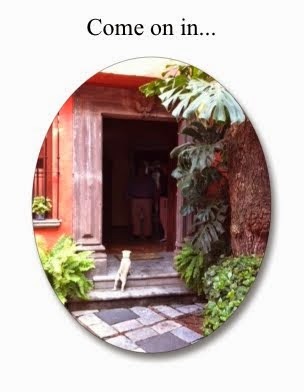 When I first came upon it, in his archive in Mexico's Ministry of Finance, I was astonished to learn that no one-- no one in 100 years-- had translated it. So I decided to do it, and without really understanding what would be involved, for the material is exceedingly strange. What to make of the parts about interplanetary reincarnation, for example? Was Madero mad, as his detractors claimed? It turns out, it's not so simple. His Spiritist Manual, exotic as it may appear, sits firmly within the tradition of 19th century American and European metaphysical tradition. Stay tuned: the new edition with my revised and expanded introduction will be available soon in both Kindle and iBook, plus paperback. Spiritists (French and Latin American followers of the closely related Spiritualism-- note the "u" in the latter) believed that theirs was both a religion and a science-- and in the late 19th century and early 20th, paid special attention to the efforts of scientists such as Harvard University's William James, British physicist Sir Oliver Lodge, and Nobel prize winning medical researcher Charles Richet. This particular trio conducted research with mediums such as Leonora Piper, who would fall into a trance and channel various personalities, among them, including "Imperator," and the flamboyant Neapolitan Eusapia Palladino, whose seances were remarkable for their psychokinetic phenomena such a billowing curtains, floating mandolins and ectoplasmic hands. Just as today, a minority of scientists found this compelling while the majority of their peers met it with severe skepticism and even hostility. P.S. 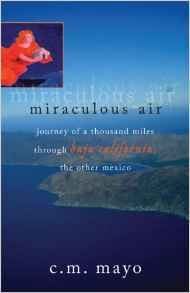 Check out this fascinating interview with Deborah Blum. 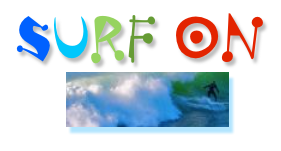 Some looking up over at one of my favorite blogs, medievalist Jeff Sypeck's "Quid Plura?" The ever energetically generous poet E. Ethelbert Miller hosts a new cable TV show, "The Scholars"
Aura reading of ballerina Maria Tallchief by human energy field expert Rose Rosetree, who says, Every Photo Is an Aura Photo. One of the reasons I'm very interested in and admiring of Rose Rosetree's blog posts on aura reading (and by the way, she's the author of several books, including Reading People Deeper) is that applying this paradigm of the human energy field's chakras helps me create fictional characters of greater depth and complexity. The idea of looking at chakras for insight into fictional characters was first explored by another book I warmly recommend, Pamela Jaye Smith's Inner Drives: How to Write and Create Characters Using the Eight Classic Centers of Motivation. Speaking of eye-opening, the honey you picked up at the grocery store may not be what you think it is. The best way to get good quality honey? Buy it directly from your local backyard beekeeper. And make sure it's raw. So what's with the Marfa Mondays podcasts? Stay tuned. The next one is almost ready. Listen in anytime to all the Marfa Mondays podcasts at this link. 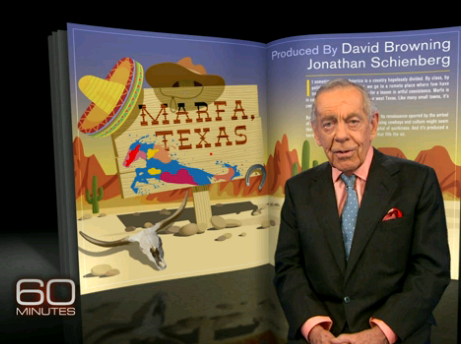 In a segment that aired on Sunday, "60 Minutes" calls Marfa, Texas "The Capital of Quirkiness." The sweetly artsy spirit of this remote small town of far West Texas was precisely what appealed to me when I first came across it more than a decade ago-- and what drew me to start writing a book and podcasting about it back in January 2012. But as I delved in, reading and traveling and interviewing a wide variety of artists, scientists, business people and others, I soon realized that there's a far larger, more complex story, or rather, stories, to tell about the Big Bend region. Start with the fact that the Spaniards called it the Despoblado (Empty Quarter), and on pre-20th century maps it appears only vaguely as "La Apachería..." It's one of the earth's "Thin Places," to steal an Irish term-- and with a frightening history, a starkly beautiful swirl of landscape, border country. . . Watch "The Three Burials of Melquiades Estrada" for an idea of what it looks like. Next podcast: an in-depth interview with Dallas Baxter, founder of Cenizo Journal. P.S. Follow my other blog, Marfa Mondays Blog, for updates about the podcasts, photos, videos, and more. Translation: stories help us make better sense of life; integrity and aesthetics beat the alternative; and boy howdy, one could keep at this forever and an eternity! This is my artist's statement-- what I'm all about as a writer. I used to think artist statements were kind of pretentious and silly, but I've since changed my mind. The reason? 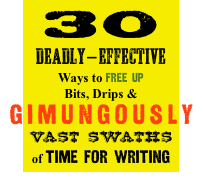 It not only helps orient the reader; for the artist, it undergirds and focuses each moment. Right now, in this incarnation? 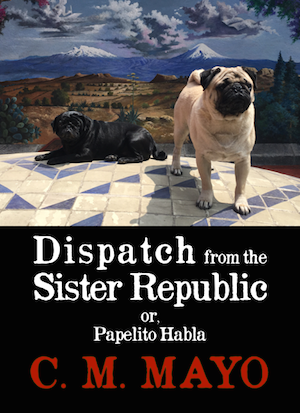 I'm at work on the revised introduction to my translation of the secret book by the leader of Mexico's 1910 Revolution and a travel memoir of far West Texas, apropos of which I host the podcast series Marfa Mondays: Exploring Marfa, TX & the Big Bend. And this also is why I've been blogging since I first encountered the form in 2006. Today I would describe Madam Mayo as a mashup of literary celebration (my Top 10 Books Read lists, for example), community (check out my bodacious guest-bloggers), writing advice; self-promotion (of course, I always note my new publications, workshops, podcasts, events); bees, pugs, musings & whatever catches my fancy. Because of spam I've turned off the comments but I am always delighted to hear from readers via email. Contact me here. After much rumor and anticipation, the Boquillas border crossing into Mexico from far West Texas's Rio Grande Village in the Big Bend National Park has just-- today-- thanks for the tip, Charlie Angell-- reopened for the first time since 9-11. This is one of the most remote places in the Lower 48, and in northern Mexico's state of Coahuila, and though the number of people crossing was always a mere trickle, the border's closing after 9-11 had devastated the Mexican town of Boquillas (which means "little mouths"). I'll have a lot to say about these remote areas of the US-Mexico border in my "Marfa Mondays" podcasts and in my work-in-progress about far West Texas. Recently I visited the remains of the long demolished informal bridge over the Rio Grande at Candelaria. There was maybe 15 -20 feet across as I recollect, and I saw paw prints in the mud on both sides, going down from Mexico and coming up into Texas: a coyote, I mean canine, had crossed. I'm also working on a podcast and an essay about the Big Bend National Park-- one of the most geologically varied and starkly beautiful places I have ever seen. Stay tuned. Posted by permission from Honeybee: Lessons from an Accidental Beekeeper by C. Marina Marchese, published by Black Dog and Leventhal, 2009. Did you know that much of the delicious, fresh food from your local farmer's market is dependent on essential pollination by the amazing honeybee? 1. Honeybees are responsible for pollinating more than 100 agricultural crops in the United States. In fact, one in three bites of food we eat is dependent on honeybees for pollination. 2. Crops that have not been properly pollinated are often disfigured and underdeveloped. For example, cucumbers, squash, or eggplants that have not been fully pollinated with grow lopsided and curly. 3. Honeybees also play an important role in our supply of beef and dairy products. Farmers rely on honeybees to pollinate alfalfa, clover, and other grasses, which makes up a large part of the diet of livestock. Well-fed livestock means tastier meats, cheeses, milk and eggs. 4. Did you know that without honeybees to pollinate cotton plants, we would not have cotton t-shirts, blue jeans, and bed sheets? 5. The honeybee population is diminishing rapidly. Here is an eye-opening report by Dan Rather. Some say the beekeeping industry can only sustain itself for a few more years if these losses continue. Honey will become a rare luxury. >Be sure to check out her book, Honeybee: Lessons from an Accidental Beekeeper and, over at Red Bee, her many varieties of artisanal honeys. >For a fascinating podcast interview about the bees of the Big Bend, listen in anytime to bee expert Cynthia McAlister on "Marfa Mondays." 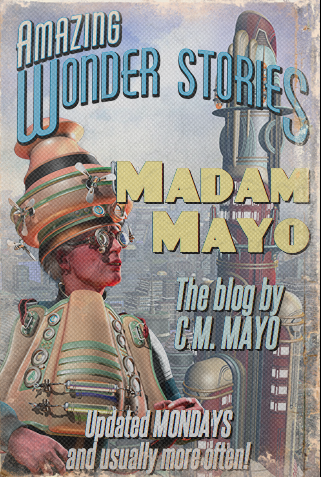 >Archive of all Madam Mayo guest-blogs. Comments on this blog have been disabled because of spam, but I am always delighted to hear from readers. Contact me here. An important and very handsome book has just been published by Mexico's Instituto Nacional de Antropolía e Historia: Las Memorias del Jardinero de Maximiliano, the personal memoirs of Maximilian's gardener, the botanist Wilhelm Knechtel, of his years in Mexico, 1864-1867. 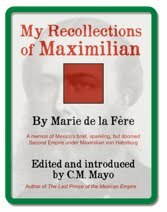 The text, originally published in German a century ago, has been translated for the first time by noted scholar Susanne Igler (author of Carlota de México) and introduced by one of Mexico's leading experts on Maximilian and the Second Empire, Ampáro Gómez Tepexicuapan. The edition also includes a cornucopia of rare photographs, cartes-de-visites, full color illustrations, maps, and an extensive bibliography. As Tepexicuapan writes in her introduction (my translation into English here), "to be the Gardner to the Court was, and surely will continue to be, an enviable title. The garden is the recreation of Eden and, at the same time, an expression of power." 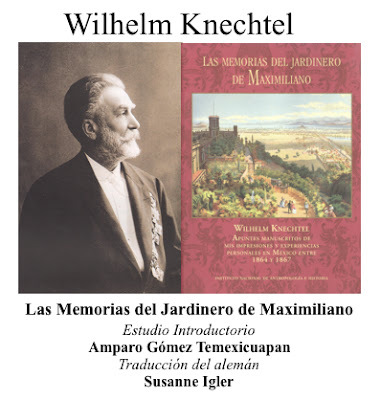 Maximilian, an avid botanist himself, considered his gardens a public display of elegance, order, and learning, and in almost all his many residences, he worked closely with Knechtel: herein lies the importance of this wonderful, anecdote-filled book. Make them work for you. That's what they have to do. That's what they're made to do. Check out this video of Amanda Palmer, she of those most Berlinesque eyebrows and bodacious stage presence, on The Art of Asking. Now why, pray tell, is Amanda Palmer's TED Talk on Madam Mayo's cyberflanerie "bot edition"? Because everything Ms Palmer is so enthusiastic about doing, from tweeting to couchsurfing to Kickstarting-- and, most essentially, giving her music away for free and receiving money from fans-- is mediated by bots. Bots: our invisible software slaves. In the book business (my home planet), everyone is talking about disintermediation, that is, authors skipping the agents and traditional publishers and going direct to their readers with self-published Kindles and POD, etc.-- but let's keep in mind, it's not so much disintermediation as it is replacing the human intermediaries with bots-- and those are, in the overwhelming number of instances, owned by a corporation, e.g., amazon.com and iTunes. 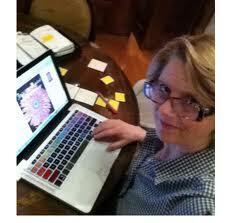 write, agent, edit, design, format, print, box, ship, receive, market, stock, and ring it up at the cash register. possibly no agent; possibly no editor; possibly no marketing other than uploading the epub to the seller's site (received by a bot of course); no printing (it's digital), ergo, no physical shipping; a bot brings up the title when you type in into the search box; a bot registers your order; a bot charges your credit card; a bot delivers your order to your device. So is this really disintermediation? Hmm? More bot amazingness in this talk by architect Michael Hansmeyer, also for TED. Check out the mini-strandbeest, printed in 3D. 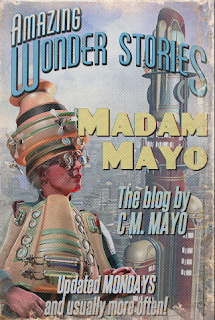 Love this fun little bot (let's pat it on the head...) called the Pulp-o-Mizer which generates pulp fiction covers for whatever you want to type in and/or select.